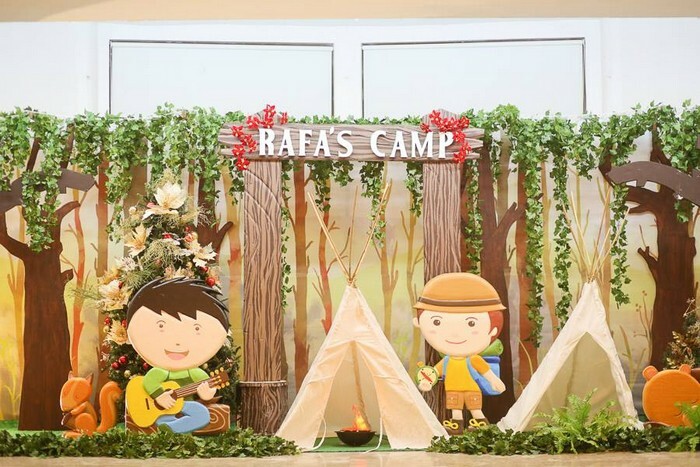 Party Magic’s Latest Theme Mash-Up: Rafa’s Camp at Christmas! Glee’s mash-ups made an indelible mark on our generation. 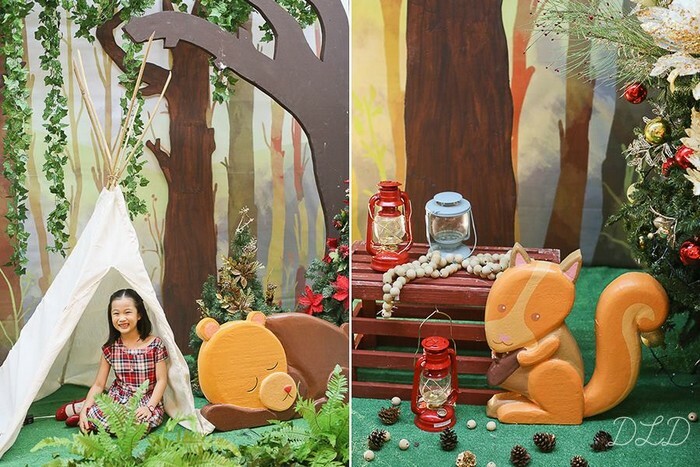 I will show you our own version of a “mash-up” for event styling, in the form of combining two (seemingly) unrelated themes: Forest, and Christmas. I think these mashed-up themes will pave the way for a totally new and evolved way to style events: combining two or three different themes and coming up with something fresh and amazingly stimulating to the eyes. Let me explain my choice: my husband is a die-hard classic rock fan (Bon Jovi is a perennial top-3 in his Spotify playlist), and sometimes it rubs off! Usher is more in my backyard, though. What I really like about mash-ups though is the pleasant surprise and wonder upon hearing the merging of two different strains of music, coming together in a surprisingly melodic manner. The more unlikely the two songs being matched, the bigger the surprise when they come together. 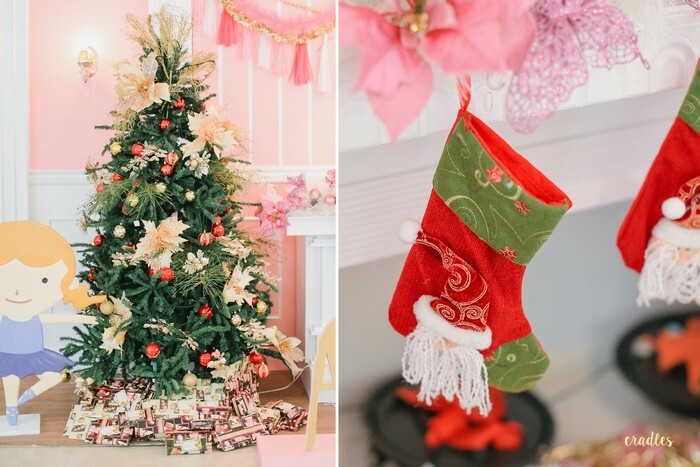 When I put up my event styling boutique, Party Magic, a few years back, it began with a purpose: we were going to provide special, customized themes to our clients and make their dreams come to reality. While I believe this path (as opposed to offering “boxed”, pre-arranged themes) is 10x harder (not to mention expensive), I persevered simply because I knew our clients would LOVE to have this type of service. The latest creation was actually not my brainchild, but Ethel’s, my client. Her main conundrum was her dislike of throwing a literal-looking Christmas-themed party. Can you imagine? That would be too tacky, and most dreadfully predictable (this line is best served in a haughty English accent). Oh, the colors! Forest green, copper, chocolate brown, mint green, burnished gold, cream, deep red, with a touch of red-dark green plaid. Green for that camp/forest feel, gold for an ornamental touch, which sometimes translates to an Autumnal hue when combined with the green, and the plaid to make it look “Christmasy”. Rafa looks chill, Indian-sitting while strumming his guitar. I could actually hear the crackling of the fire and the occasional hoot-hoot of the owl. Welcome to Rafa’s Camp! Time to roast some marshmallows while singing, Baby, It’s Cold Outside! Watch out though, for sleeping bears!